Whether your organization is civil engineering, construction engineering, chemical engineering, or any other engineering discipline, chances are that you face many pains when it comes to effectively training your employees. Even something as seemingly simple as getting everyone from a cross functional group on the same page can wind up as a major challenge. Making sure all employees in the field are adequately trained on safety and regulation is crucial for your business. More often that not, it’s nearly impossible to determine whether your training is producing the desired results. Is your training process working, or do you need a new plan? 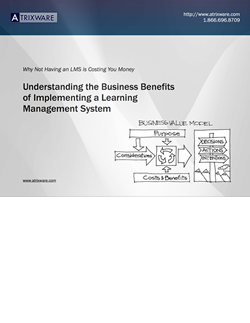 A learning management system such as Axis LMS is designed to address these issues. 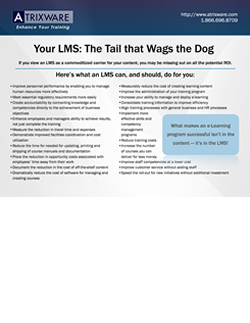 To learn more about how Atrixware can help, and the Axis LMS can benefit me. Why Axis LMS for Your Engineering Company? 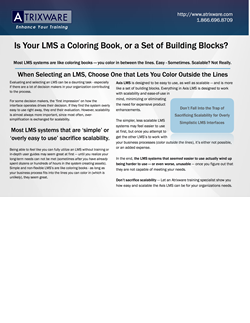 Use documents, videos, PowerPoints, SCORM and other materials to create training - its easy! Track results easily - receive notifications when courses are completed, automate emailings for daily reports, and more! Are You Ready to Improve and Streamline Your Training? It's easy to get started. 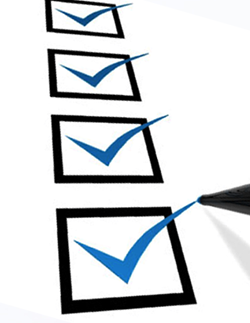 Fill out the contact form above, or call us at 1.866.696.8709 and tell us about your goals and challenges.